Company Name: Nippura Co., Ltd.
A reliable waterproofing system anticipates the reality of construction site conditions and the aquarium operating environment. We have developed a strong and reliable waterproofing system which meets these requirements even in tanks which house extremely sensitive species. The Sumilining system creates a comprehensive reinforced plastic shell within the concrete tank. The colored top coat of Sumilining is an integral resin so there is no top coat peeling. 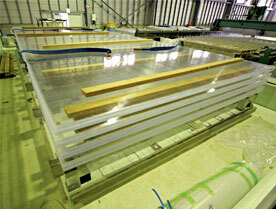 The surface is designed for superior adhesion with acrylic window sealants, LSS and rockwork penetrations. 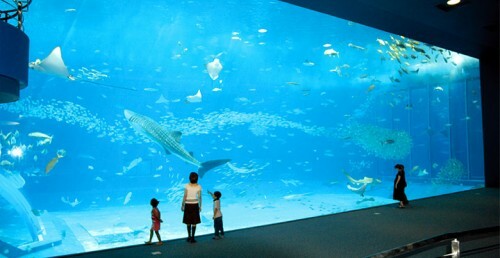 After being established in 1969, the company supplied the world’s first acrylic aquarium for the Yashima Aquarium the following year. While engaging in the manufacturing and processing of various acrylic products, Nippura earned worldwide recognition for its acrylic window installed at the Monterey Bay Aquarium, thus becoming a leading manufacturer in this field. Nippura’s products have been commercially introduced in over 40 countries worldwide. In Japan, such products are known at the Osaka Aquarium Kaiyukan, the Polar Bear house at the Asahiyama Zoo, and other facilities. Please check their list.